When the reader joins narrator and heroine Emily Porter, she is living on a small island in rural Maine with a carer named Clare. She has just undergone experimental brain surgery and has no memory of the past two years. The rest of her life she can only recall in fragments – scenes and images – and has no recollection of anyone close to her. Once Clare decides Emily has recovered sufficiently, she tells her it is time she began living alone again and gives her an envelope, inside which Emily finds a note she has written to herself. It encourages her to start a new life and not to try to dig up her old one, as it could endanger her and those she once held dear. Emily is curious (despite her old self’s adjurations), and when a mysterious man tells her she is in danger and he appears to have information about her past, she flees Maine with him and starts following clues to uncover the past that her former self—Audra—went to such lengths to hide. It turns out she is a descendant of historical figure Elizabeth Bathory, and Audra and her kin, known as The Progeny, have supernatural powers. Due to Bathory’s legendarily bloodthirsty behaviour, another group called the Scions of the Dispossessed are hellbent on trying to wipe out her bloodline, including Audra. But with no memory, it is difficult for Audra to know whom to trust or what to do. Tosca Lee’s narrative approach is unconventional. While first-person and present tense are not uncommon in literary works, they are almost unheard of in genre fiction, especially thrillers. At novel length such an approach should be dreary or pretentious, yet it works well within The Progeny’s Memento-esque framework. Traversing a path between genres can also be fraught with problems. 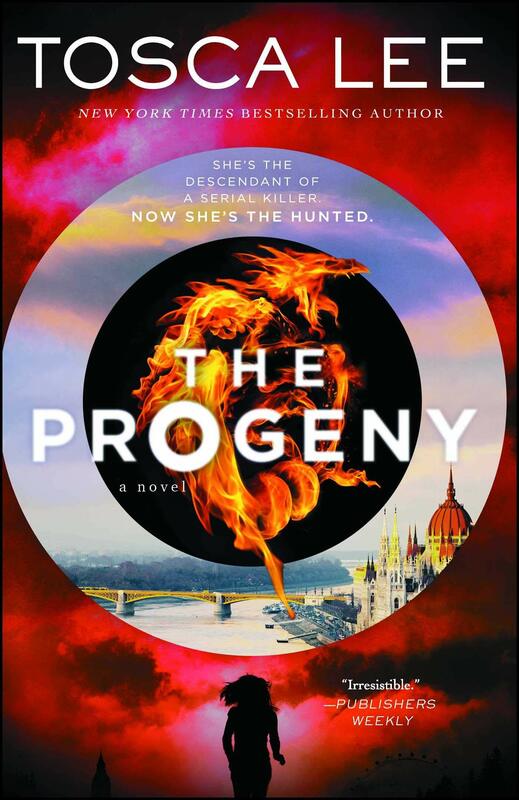 While The Progeny interweaves historical and fantastical elements, it is a psychological thriller first and foremost. Thrillers tend to value pacing and plot above all else, which can lead to thin writing and superficial characters—anathema to both historical fiction and fantasy. Lee is a proficient author, though, and she intersperses the page-turning scenes that thriller fans expect with enough rich language and character development to keep more literary-inclined bookworms tuned in as well. Take, for example, this beautiful description of a church window that opens chapter 43: “Near the top of that Gothic frame, the panes curve up like a bowl or a crescent – or the limbs of a tree. A circle floats above it, a single golden fruit. I blink, and the crescent branches are a pair of arms, lifted to the sun.” Matthew Reilly could write for a thousand years and never come up with imagery half as accomplished. Of course, those same virtues could make it too heavy for readers who want just-the-facts escapism (this is no light beach read), and not everything about the book is original—Bathory’s legend has already been well mined in popular culture and one of The Progeny’s powers is essentially a dark variation on the Jedi mind trick. But Lee’s skill pulls it all together, finding space for three-dimensional characters and memorable prose while cramming in plenty of ideas and plot twists.